We’re getting ready to travel to Ohio and see family and friends as well as do some art and music. 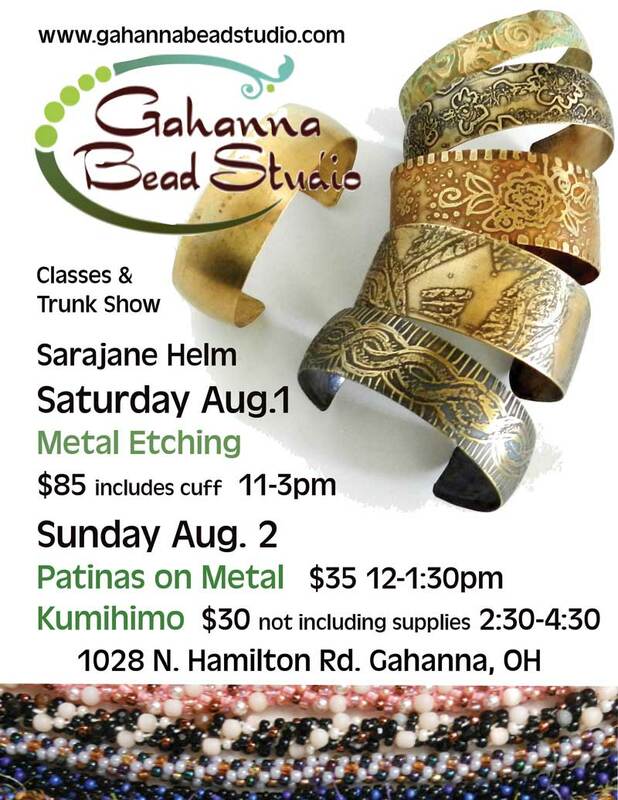 I’ve got three classes (etching metal bracelets, patina on metal and kumihimo) lined up at Gahanna Bead Studio at 1082 N. Hamilton Rd. Gahanna, Ohio. I grew up in Gahanna, and it is always a treat to get to go back and see how it has changed in half a century! 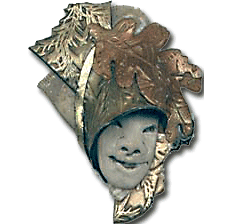 I’ll also have a selection of my jewelry and components (ceramic, metal, and polymer clay) for sale at a week long trunk show. But please, do come say hello August 1 and 2 when I’m there!